As the founder of the Efrem Lawrence Law Firm, Mr. Lawrence provides dedicated personal injury counsel to people in the greater Portland, Oregon, area, as well as in Salem and Southwest Washington. Committed to helping those injured due to the negligent, careless or intentional actions of others, he strives to help those he represents to achieve financial justice. 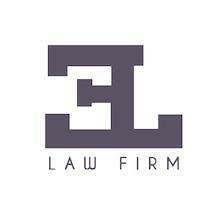 To best serve his clients, Mr. Lawrence offers free initial consultations. Personal injuries can leave people facing high medical bills and dealing with lost wages while they are off work recovering. Since founding his law firm, Mr. Lawrence has helped clients injured as a result of motor vehicle collisions and other such accidents to obtain the maximum compensation for their losses. To this end, he gathers medical records and other supporting documentation, interviews his clients and other witnesses, and works with experts to help prove his clients' claims and see their rights upheld. A former Division I college basketball player, Mr. Lawrence has suffered injuries himself and has had surgery on his lower back and knee. Understanding firsthand the costs and effects of serious injuries on people's lives, he takes the time to listen to each of his clients' stories and to understand the extent of their injuries. Driven by the same competitive force that gave him an edge on the basketball court, Mr. Lawrence aggressively advocates on behalf of those he represents and helps ensure they are not pushed into a quick and unfair settlement. In addition to helping people who have suffered injuries in auto accidents, the Efrem Lawrence Law Firm also provides representation to those who have suffered sexual abuse. Mr. Lawrence works to help his clients regain some control through the pursuit of personal injury damages, offering them the compassionate hand they need throughout the civil claims process.